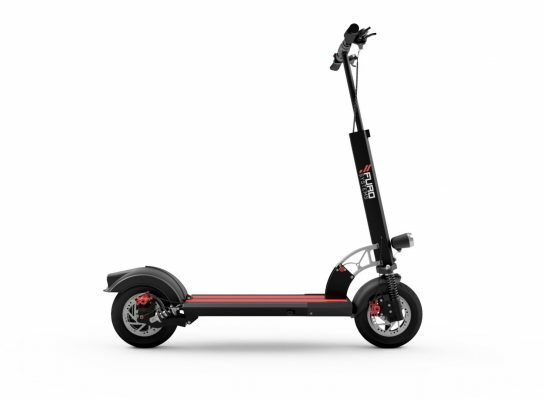 A High performance scooter that you'll want to keep for yourself. We developed the FUZE to offer a world class riding experience. It combines nerve racking power, impressive range, outstanding comfort and premium, aerospace grade, construction and materials. The Fuze is equipped with a state-of-the-art Brushless DC Motor integrated within its back wheel. It delivers over 750W of power. This means a top speed of more than 40km/h. This means there is no hill you won't be able to take. The Fuze is equipped with a smooth and powerful electronic brake that transforms the energy induced by your motion to electrical energy that can be stored in its battery. It is supplemented by front and rear mechanical hydraulic disk brakes for optimal stopping power. 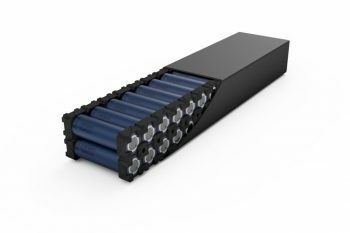 We use the best Lithium-ion chemistry currently available in the world to assemble a battery that offers over 422Wh of energy while fitting inside the deck of the Fuze. This translates to over 40km of range at a high pace. The Fuze was designed to feel like a super powered cloud. It is equipped with double rear and front mechanical suspensions as well as inflatable pneumatic 10" tyres. It does not get smoother, a true super powered cloud! The Fuze is not a toy. It is a true high end, next gen, ultra light, electric vehicle. Its key set allows you to power it on, lock it, unlock it and activate an anti-theft/location alarm from the comfort of your seat. The Fuze is equipped with foldable handlebars for optimal storage and transport. Its computer offers 3 ride levels from Eco to Sport and comes with an intuitive dashboard and throttle. A true pleasure to ride.